Scott Phillips | Leadership | About | WEX Inc.
Scott oversees WEX’s fleet businesses in North America and Europe. 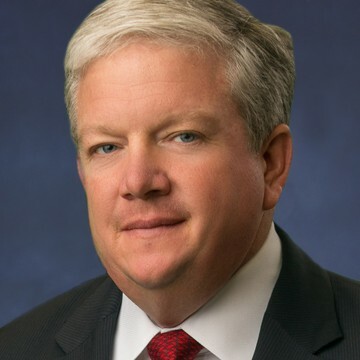 He previously served as president and chief executive officer of EFS, a corporate payments company, which he joined in 2011 and WEX acquired in 2016. Scott transformed EFS through M&A, new product innovation and massive organic growth, dramatically increasing the company’s earnings and leading to its successful sale to WEX. Scott brings more than two decades of senior executive experience in the corporate payments industry to this role and a strong record of growing businesses, introducing strategic and innovative new products, entering new markets and creating measurable value for customers. Prior to WEX and EFS, Scott spent 18 years at Comdata Corporation, where he served as executive vice president and general manager of corporate payments, and Transflo, where he focused on business development. Clearly, the biggest highlight of my career was as chief executive officer of EFS, where I helped create a company with the right culture, management team and set of solutions for our industry that will drive long term sustainable growth. From an accomplishment standpoint, it would be two-fold: first, the multiple mergers, acquisitions and integrations into EFS, and the second would be the multiple successful sales of the company. I’m continuing to be in this industry after more than 25 years because I love doing this. It’s a combination of working with great employees, interacting with customers to solve their big challenges and being a disrupter in a market to drive new payment innovation. Family, golf, skiing. In that order. I always ask customers: “How are you doing things today, and how would you like to do them in an ideal environment?” It all starts with our customers: We identify pain points and come up with new processes to address age-old problems. So many people have failed because they had great ideas but never tested them, so we do our product development in conjunction with our largest customers. Don’t just state your values; live and abide by them at all times. Integrity is of the utmost importance and you can’t “sort of” have integrity—you have to be all in, and it’s woven throughout everything you do.